“You’re not going to take your steamer trunk as if you were going on a lengthy vacation if all you want to do is a little shopping at your local supermarket!” - No, Swiss automotive visionary Frank M. Rinderknecht isn’t hiring out as an experienced travel consultant these days who has seen much of the world. Rather the man from Zumikon near Zurich is simply pointing out that usually all of us automatically do the right thing when we move around: we lug around as little ballast and unnecessary items as possible. And it is precisely this from an economic and ecological standpoint sensible behavior that Rinderknecht echoes with his new concept car “Dock+Go” on two and sometimes three axles. 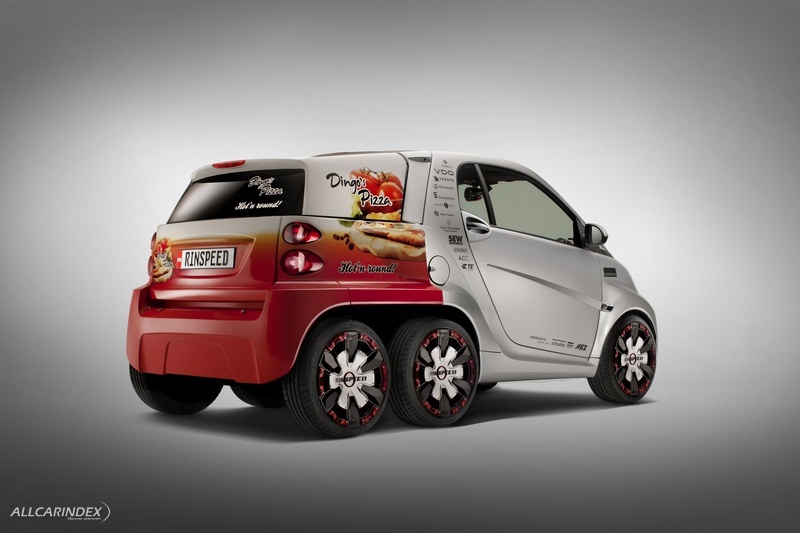 The concept will be on display for hands-on inspection at the Geneva Motor Show, March 8 through 18, 2012. It is specifically this third on-demand axle that is the crucial point of the innovative modular mobility system the Rinspeed boss has devised. “Dock+Go” was built - in the traditional sense - by Peter Kägi and his company 4erC. The concept draws its irresistible charm from easy-to-dock single-axle “backpacks on wheels.” These so-called “packs” carry out their assigned tasks depending on current need. 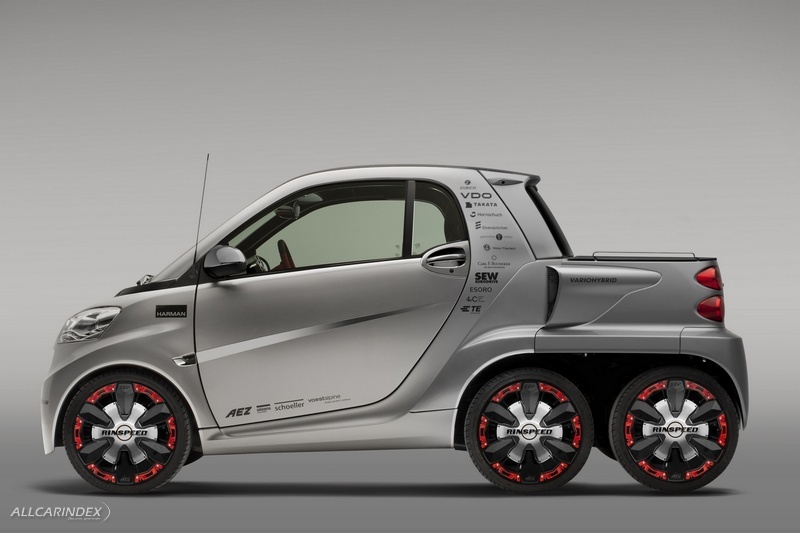 But the best thing is: they cleverly solve the much-debated operating range problem that electric vehicles suffer from. Neither unnecessary space nor superfluous weight is being transported. This truly creates “mobility à la carte." 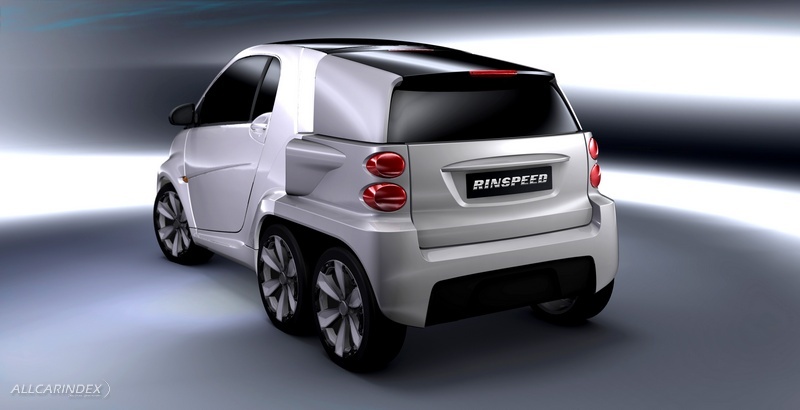 Rinspeed’s automotive visions live not only on the quality of the ideas behind it, but also and in particular on their sharp implementation. That’s because one key element of Frank M. Rinderknecht’s credo is that a car must provoke emotions and visions, especially if it is to serve as a vehicle for communicating new technologies and innovative materials. And there is a lot to see on the “Dock+Go” in that respect, contributed by large corporations and small but brilliant specialists alike in order to effectively showcase “Dock+Go,” which is currently going through the Swiss patenting process. An immediate eye-catcher is the silver outer skin from AkzoNobel with a finish that resembles sparkling ice crystals. 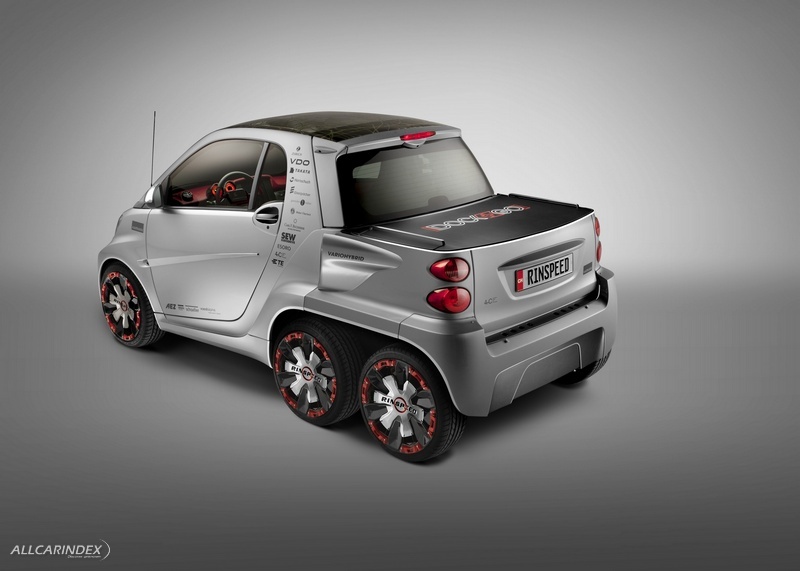 It ties in with the Goodyear low-rolling-resistance tires in size 205/40-17 mounted on 7.5-inch AEZ rims, whose decorative silver covers are attached to red fasteners with rubber bands. At night the chrome-blue accent striping on either side stands out immediately, developed by Lumitec based on an electroluminescent 3D-flexible film. Anyone with a message for their environment can broadcast it using the innovative “Identiface” feature. This display-based surface, developed by MBtech, replaces the front grille, which on an electric vehicle serves virtually no purpose. Thanks to internet connectivity “Identiface” can display the owner’s Facebook pages, news from around the world, the manufacturer’s badge or even the offer of a ride from point A to point B. 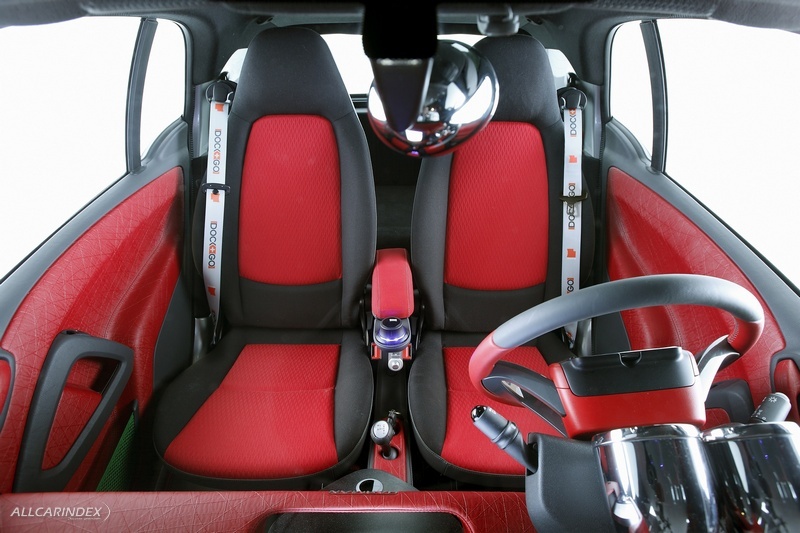 The interior is dominated by black and red. The high-tech Schoeller yarns have strong natural thermoregulation, good insulation and a high capacity for absorbing moisture. They keep comfortably warm in winter and remain pleasantly cool in summer. Premium automotive textile manufacturer Gaenslen&Völter spun them into soft, supple upholstery that provides that special feel-good factor. And wherever plastics are used, it is in the form of high-grade man-made materials, such as the creatively and stylishly embossed synthetic leather that is supplied by Hornschuch, a specialist in this field. The transparent roof and its distinctive grass inlays - as well as a number of other interior materials - were contributed by Studer. The view ahead is dominated by a 12.1-inch monitor. 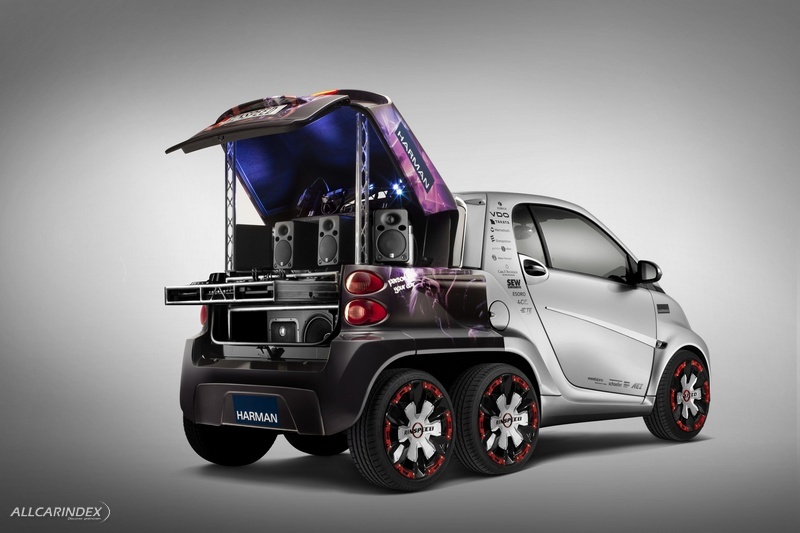 It belongs to the multimedia equipment and is part of the intelligent infotainment system developed from Harman. 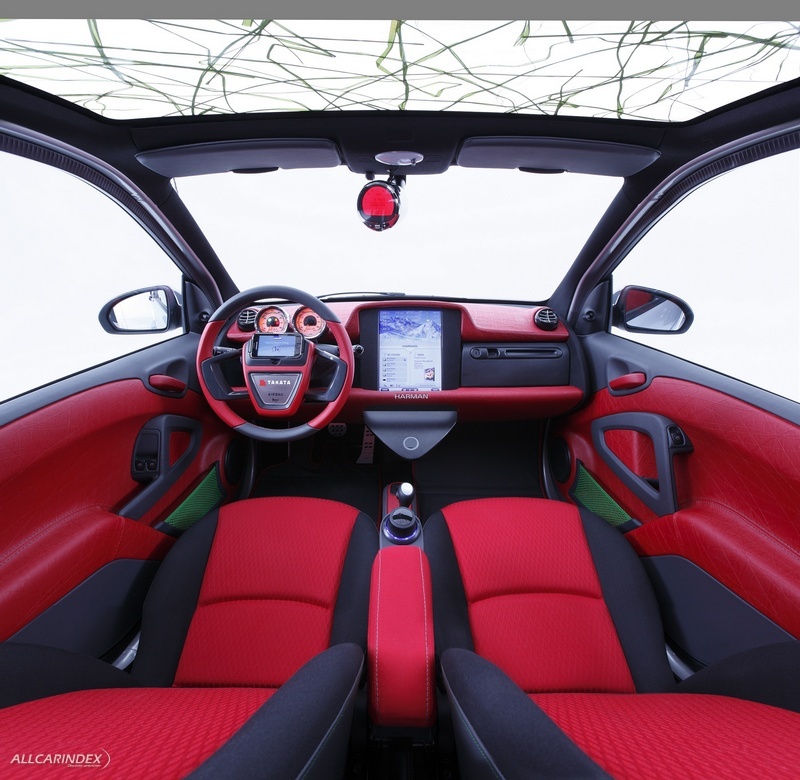 The platform features the latest integration technologies for smart phones, adaptive navigation and the cloud-based Aha-platform with a flexible Human Machine Interface (HMI) and gesture control in order to bring digital contents intuitively, easy and safely into the car. This gesture-controlled system makes operation of the contents child’s play and the four cameras integrated into the vehicle body make dents from parking maneuvers things of the past. The instruments were again supplied by - who else? - VDO. 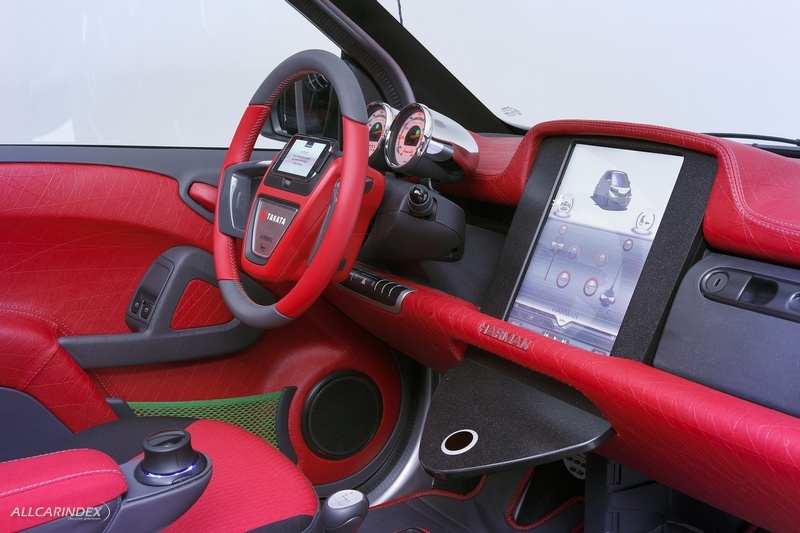 Also brand-new is the steering wheel from the German-Japanese Takata Corporation with integrated “parking space” for a smartphone, which serves as a second monitor when docked. This is made possible these days by a driver airbag that thanks to vacuum technology requires reduced installation space. But “Dock+Go” offers more than just style; it also serves up a high level of technical sophistication. The recently newly developed high-strength, lightweight door frames come from Austrian steel manufacturer Voestalpine. 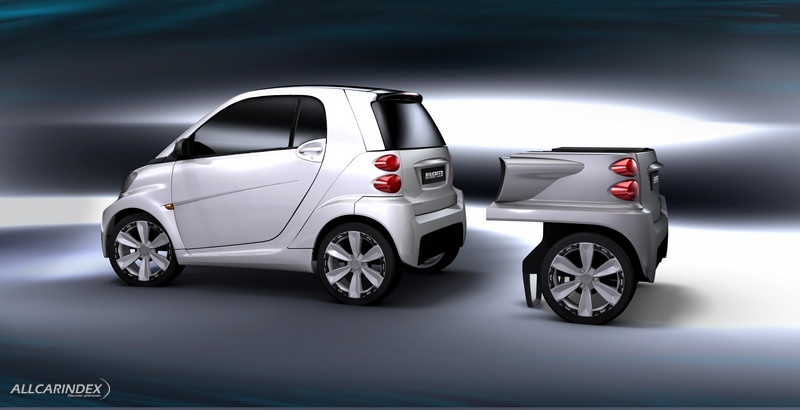 Weber Fibertech built the extremely lightweight liftgate insert with function integration, the high voltage electric heater including the futuristic air vents were supplied by German specialist Eberspächer. No compromises can be made when it comes to handling huge amounts of energy safely, a fact accounted for by the extremely robust electric plug connectors from TE Electronics. Apropos plug connectors: recharging the car no longer requires it to be plugged in. Instead the vehicle simply rolls onto an induction field from SEW Eurodrive for non-contact charging. “Dock+Go” is a clever mobility concept, implemented rich with emotions, enhanced with technical delicacies and intriguing enough for Swiss insurance giant Zürich Versicherung to commit to the cause. Who wouldn’t think of a series production in this context? No wonder that dynamic Frank M. Rinderknecht, one of the flagships for Swiss watch manufacturer C.F. Bucherer, is toying with this possibility. Rinderknecht on this issue: “Yes, we have been in productive talks with potential manufacturers for some time now.” Düsseldorf-based consulting company A.T. Kearney at any rate has already devised a manufacturing and marketing concept for the series production. Even visions must be presented at the Geneva Motor Show at the highest level of quality. This is made possible by HD monitors and Blu-ray players from Sharp and advertising support from German ad agency Vollmond. Front and rear wheels: AEZ 7.5 x 17"
Everybody has two axles. Why not simply take three of them instead of two - but only if you need them! It is that third axle with two wheels that is the key feature of the innovative modular mobility system from Swiss automotive visionary Frank M. Rinderknecht. 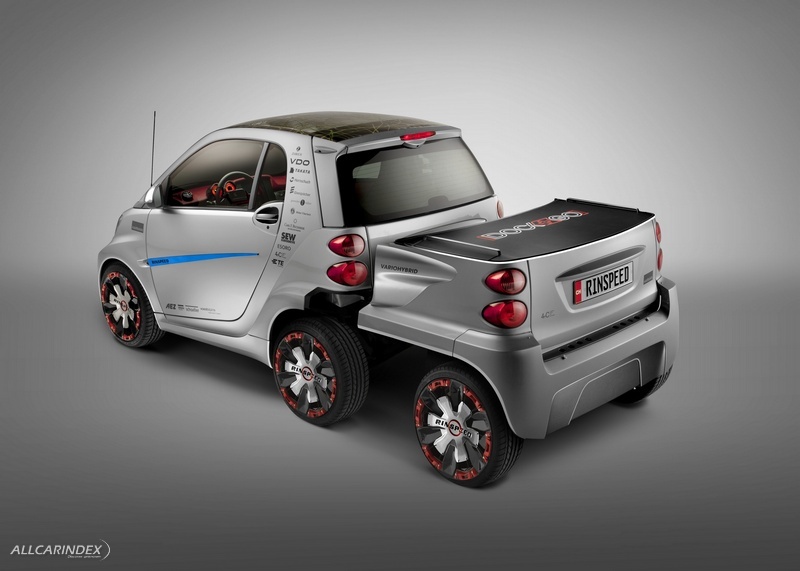 “Dock+Go” is the name the bustling Swiss has given to his sophisticated mobility concept, which he will present March 8 through 18 at the 2012 Geneva Motor Show. The idea’s irresistible charm lies in the docking “backpacks on wheels.” These single-axle “packs” serve a variety of purposes depending on the requirements of the day. 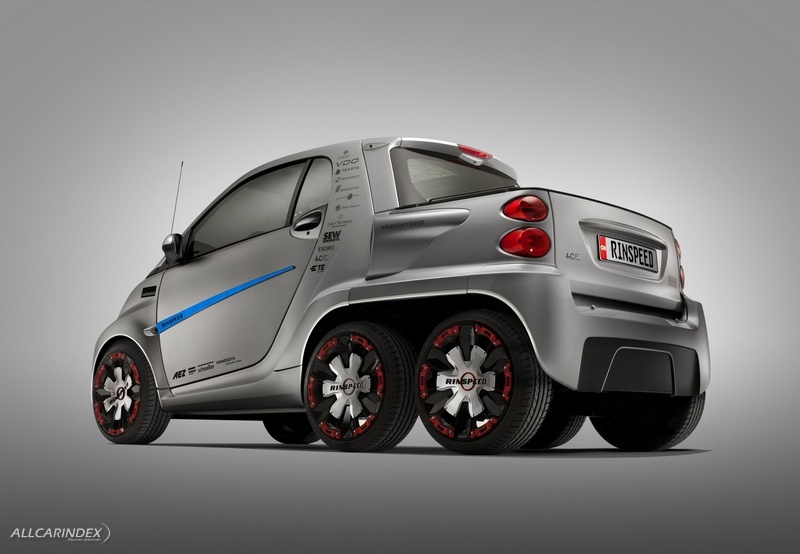 They also solve the much-discussed operating range problem of electric vehicles in a clever way. The ingenious twist: neither unneeded space nor superfluous weight is carried along if they are truly not needed. Any electric city car could serve as the basis for “Dock+Go.” For demonstration purposes Rinspeed boss Rinderknecht turned his attention to the two-seated smart. 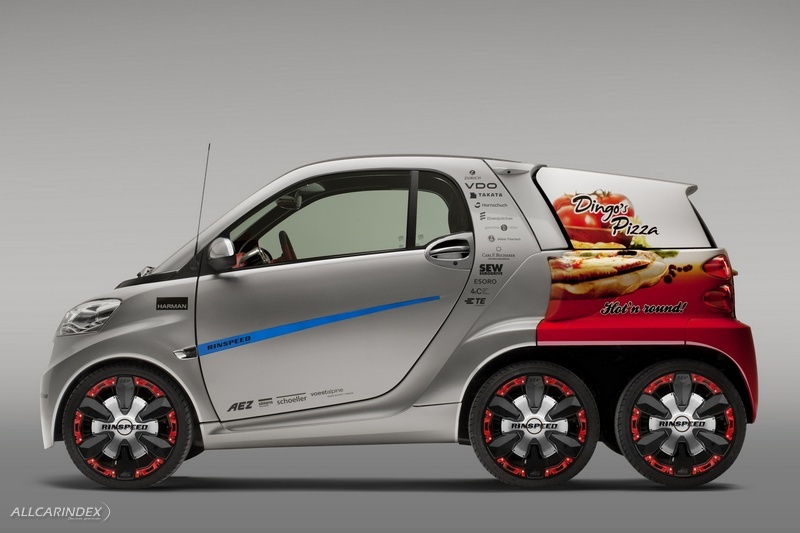 A wide variety of “packs” turn the electric-powered mini car into the dream car of any pizza delivery driver – complete with an integrated heated box. For craftsmen there is a toolbox pack with well-organized spaces for every tool. And after the day’s work is done the shared or owned camping, golf, skiing, beach or party pack is docked to the rear of the mini-mobile. Yes, this car truly saves the best for last: and in this case it is ample operating range when the 120 kilometers that are typically available just aren’t enough. 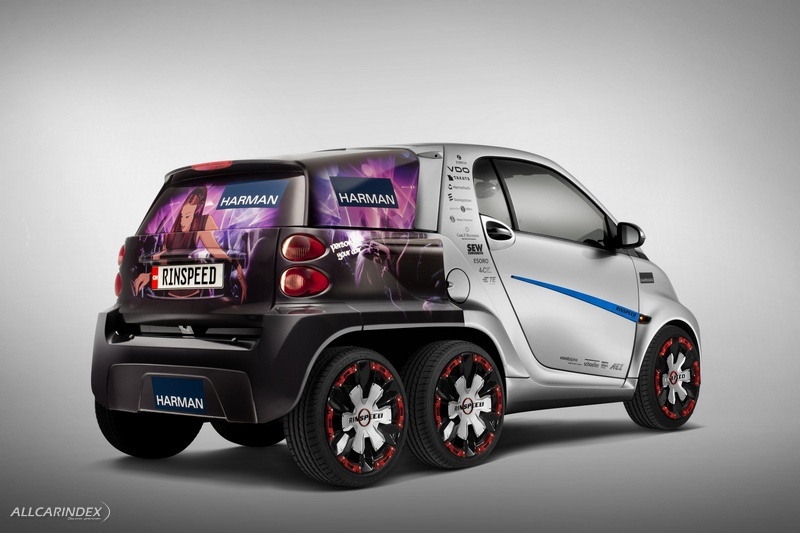 An “energy pack” with a combustion engine or range extender, packed with batteries or powered by a fuel cell, provides the decisive added range for reaching more distant destinations. 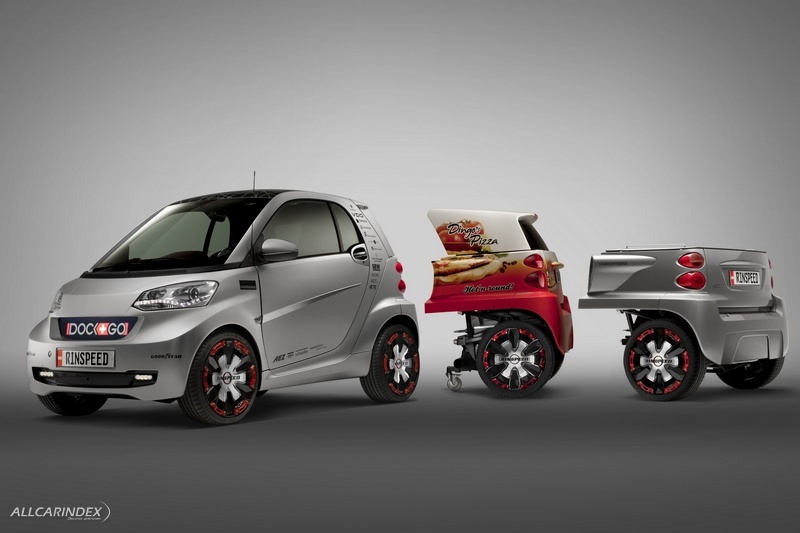 The equally simple and clever trick: the docked third axle drives the rotating second axle and thus recharges the on-board battery of the city car. And thus the first Vario-Hybrid, as Frank M. Rinderknecht refers to his range donor, is born. In the garage at home the batteries of the energy pack are recharged with solar power from the roof, making living and driving without any CO2 emissions a reality. Plenty of good and creative solutions for a brighter future mobility. Take 3 instead of 2 - and who came up with it? A Swiss, who else?